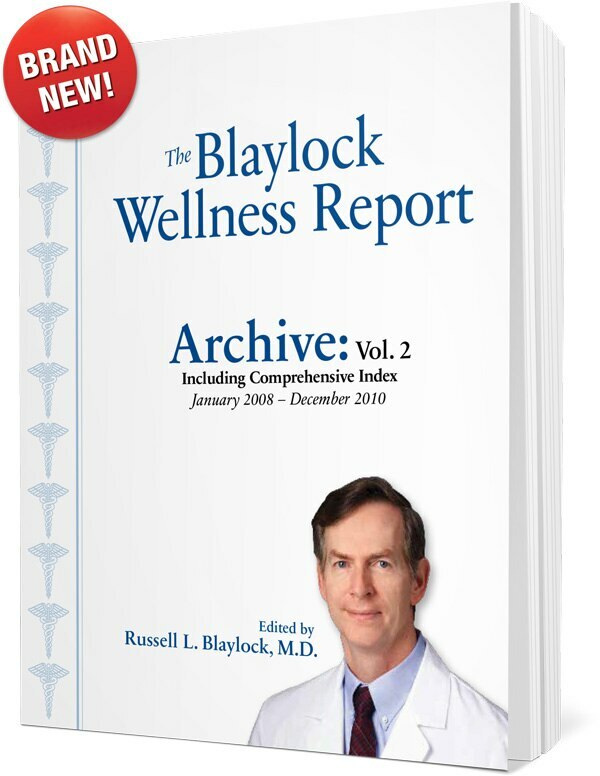 Claim Your FREE Copy of The Blaylock Wellness Report Archive Book Volume 2 When You Start or Renew Your Subscription to The Blaylock Wellness Report! YES! I want to protect myself and my loved ones — and take charge of my own good health. So please send me my FREE copy of the newly-released Blaylock Wellness Report Archive Book (Volume 2). Dr. Blaylock always gives me the inside scoop on preventing and reversing hundreds of health conditions. Plus, I know I will benefit from his unbiased recommendations for supplements and natural treatments that really work. If you are unhappy with your subscription, you have a full 30 days to cancel for a 100% refund. Even after 30 days, you can get a prorated refund on the unused portion of your subscription. And again, regardless of your decision, your gifts are yours to keep.